Sega System 16 / 18 / 24 / X Security Programming Guide #Sega #Consoles #VintageComputing « Adafruit Industries – Makers, hackers, artists, designers and engineers! 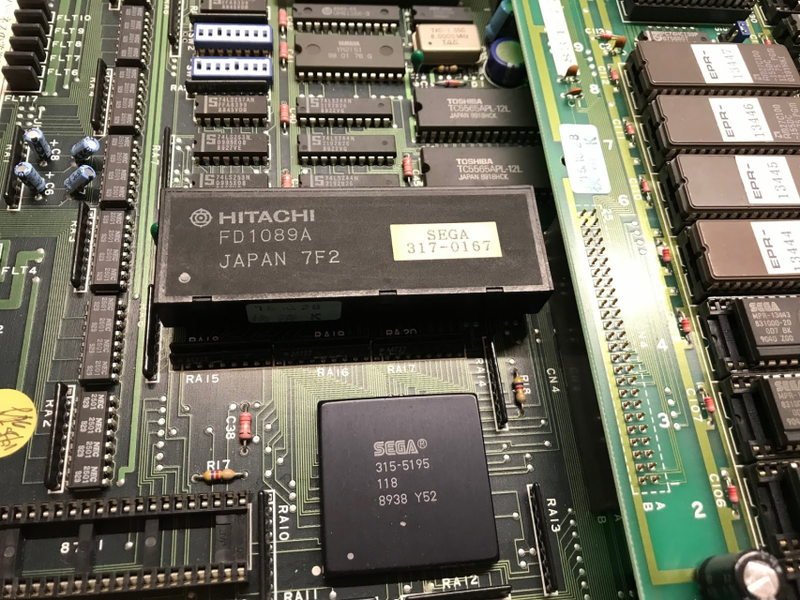 The Arcade Hacker blog posts some fantastic news on reverse engineering the security in the Sega System 16 / 18 / 24 / X.
Dear all, after some lengthy testing we are happy to release full details on the security programing of the Hitachi FD1089 / FD1094 cpus used in Sega’s System 16 / 18 / 24 / X motherboards. 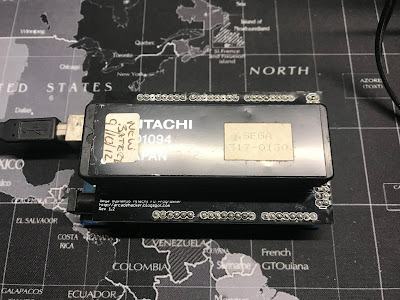 The work involves an Arduino Mega with a large shield to tie the pins to the Hitachi chip. Having inserted the module in the socket we can proceed to program the security keys by typing w and pressing enter. Make sure you replace the module battery if necessary before attempting a key load, a new battery will last at least 20-30 years so don’t expect to have to repeat this often. Once the process finishes you can disconnect the Arduino module from your computer and remove the cpu module.